Big thanks to Jellyneo for helping in most of the research! Imagine this; you were walking along the streets of Neopia Central, minding your own business, when suddenly another owner comes along with her white Zafara at hand, strutting around like they were better than everyone. After seconds of thinking, you decided that you wanted to have a white Zafara. So you took days, months, for some of us even years to save enough neopoints for the paintbrush; and when you finally have enough, you buy a White Paint Brush on the Trading Post for a reasonable price, your hard work finally paid off. Realizing that the Christmas Paint Brush costs a mere 50k, you begin scolding yourself for never noticing this alternative, over a million neopoints flying away from your grasp. Your friend glares at you, unsure why you let the incident happen, the nearly white Zafara in their possession smiling mischievously at your misfortune. Alright, I'll admit that I doubt it would happen to any of you smart folks; but who knows? Lady Luck isn't exactly fair to most. The fact is, there are many paint brushes that are worth more than your wallet can tolerate, but the colors themselves have many alternatives that could save your pets beauty and your life savings. So next time you're drooling over some awesome color you think would certainly fit your pet, think once more of the alternatives. Let's get on with the article, shall we? 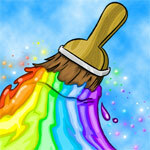 This paint brush saves a lot of neopoints, as my research concludes. Its wonders include the eye-popping color of brown (the Brown Paint Brush costing in 1.3mil) the lovely color of white (the White Paint Brush costing a whopping 2.3mil at the Trading Post) and has many unique colors that can only be accessed by the Christmas Paint Brush, which sells about 59k in the Shop Wizard. Cheap, huh? Not so fast there, kid. There's a catch with the Christmas Paint Brush; each color is different for every species. A special shade of white is only available to the Bori, Chomby, Cybunny, Gnorbu, Zafara, Kiko, Kougra, Krawk, Kyrii, Lenny (sort of), Tuskaninny, Ruki, Uni, and Xweetok; and even then it has a little change to bring out that 'festive' feel. A splash of brown may only be available to the Aisha, Flotsam, Gelert, Ixi, Kacheek, Kau, Moehog, Ogrin, and Pteri. The others are either the color dark green with a Christmas attire, a basic color with a change of clothing, or something completely different. So if your pet wants to be colored white or brown and isn't in the species list, better start saving. Now. Hold your scowls! It isn't all that bad, is it? The Christmas Paint Brush also includes fancy wearables, from warm red-and-white coats to angelic wings, it isn't much of a disappointment in the customization world. Even if the color isn't all that impressing, the clothing is sure to make your friends gasp in amazement. Alright, now here's the problem; if you're looking for an exact shade of brown, you'd be looking for the Christmas Paint Brush. If your pets' species doesn't fit, then you're forced into saving. No, I can't help you with that; go find another article about saving, searching the NT isn't all that hard. The second problem is those little chips of chocolate; if you don't want your pet to have those adorable dots (Fyora knows why) customization often or not fixes that problem. But for some, it's just inevitable you can't cover what's in the color. The third problem, as I've already explained, is that the color Biscuit is limited to the Aisha, Chomby, Gelert, Cybunny, Grarrl, Ixi, Kacheek, Kau, Usul, Kiko, Kougra, Mynci, Ruki, Wocky, Yurble, and Zafara. If your pets are one of the unlucky 38 species that can't be colored this wondrous color, well... you know what you're supposed to do. Alright, I understand this isn't the most reliable color there is. But rather than scolding at me for your problems, let's move on to the next color, shall we? I will not lie; it took me several tries to spell 'camouflage' correctly. Anyway, costing 70k, it may be inaccurate, but it is definitely a time saver. Unfortunately, if you're a slow reader, this might take a while to read through. If you're looking for a bit of pink (unless, of course, you're looking for the avatar) you can look forward to the Uni, Grundo, Grarrl, and Ixi. Though they do look a little red, it's still better than paying 4.5k for an idle pink, isn't it? Also, the Elephante, Kau, Jetsam, Kyrii, Krawk, and Ruki takes a good brownish hue (nowadays, there are a lot of alternatives for brown) The JubJub once fooled some for being the color white (no, seriously, it once did) and it is also a good alternative for the color Orange, if your pet is a Scorchio, Peophin, Kougra, or Zafara. Very useful indeed. Of course, as I said before, it's inaccurate. If you want the exact colors I mentioned before, I'm afraid I can't help you there. What do you think I am, a magician? Anyway, moving on! It's getting a little pricy now, isn't it? Don't worry; it only took me about a month and a half and a little determination to save 120k for this paint brush. But it's quite worth the wait; especially knowing that it helps in some of the priciest colors. As expected, some silver pets reflect the White Paint Brush's hue. I only have one advice for you; it isn't. The Silver Paint Brush was meant to be silver, as in taking the form of grey. There are some exceptions—including the Buzz, Bruce, Eyrie, Kyrii, Quiggle, Moehog, Shoyru and Techo—but even they are a completely different shade, and if you don't want that glossy surface, sparkling look, or just want a perfect white, I strongly recommend not purchasing this paint brush. Ever. I must admit that some particular species colored Silver reminds me of Relic before it got... dull. Yes, dull. Although it's missing that signature slab of stone, the Bori, Cybunny, Draik, Jetsam, Kougra, and Usul have a strong resemblance (most of them aren't even available in Relic). If you insist on having that slab of stone, there's a Puddle of Mercury that costs about 18k that can help you. It's shiny, too. 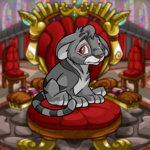 All pets painted silver resemble much of what the Grey Paint Brush would do to pets, only shinier and happier looking. But I'll exclude that explanation because I'm afraid it's too depressing to indulge in. MOVING ON. If you love snow, keep on reading. If you prefer the inner depths of Moltara where you're both warm and comfortable, I suggest you skip this part. Still here? Good. Now, I usually refer to this color as White, Christmas, and Woodland combined. You want to know why? Mainly because it reflects on the color white, it takes place in winter days, and it includes sticks and stones and things like that. In other words, it's lovelier than words can describe. The beauty of it is that most of them are fitting to the color white. With beady charcoal eyes, pets that don't have beautifully rotten leaves for wings or leftover carrots from lunch for noses have a lovely shade of white, the only thing that doesn't fit is the soft snow pushing out in little lumps. If you don't mind them, they're pretty cool. But, for a special some, it's a good alternative for the color Sketch. But, this is highly not recommended. Sketch isn't that much of a struggle; costing a 70k, its very buyable, and only twenty thousand neopoints more expensive than Snow. But if you're on a really tight budget, the snow Chomby, Flotsam, Gnorbu, Grarrl, Kyrii, Lupe, Poogle, Techo, Wocky, Xweetok and Zafara are very good candidates. And yes, I am very aware that some of them aren't available in Sketch, but that's another win isn't it? Costing 110k, it may be pricy at first, but you'll get used to it. Here in Neopia, to get the good stuff you need to work a little harder. As you can imagine, the checkered color is a fairly good alternative for the Skunk Paint Brush. If you don't mind just having a game board-black-and-white color rather than the usual black with a white streak over head, you'll very much appreciate this color. If you insist on having the original skunk color, I'm afraid you're on your own. If your pet is a Gelert, you might want to consider this rather than buying a Spotted Paint Brush. It's like having those admirable black spots, except more squared. But that's my opinion. You can choose whatever you like, really. What is an extremely unique color, you ask? It's quite easy, really; and a real downer, after figuring out that you can choose less expensive colors over the most admirable ones. Some colors have something that makes them... them. Whether it's the uniqueness of the color palette, or the bold expression painted over a pets face, some colors just don't have an alternative. These colors include the depressing Grey, the adventurous Pirate, the starry Eventide, the dark Stealth, the lovely Royal, the ethereal Ghost, the stinky Swampgas, and many, many more. But, there are exceptions. If you remember what I said in the Camouflage section, you'd remember that Swampgas has an alternative. This is true. 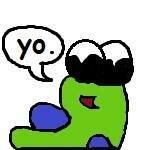 But the fact is, even though they have resembling colors, they can never copy the Swampgases revolting green stench that clutters up around them. But they're still good alternatives. The Royal color is also included with having alternatives, depending on the species. For example; you can't copy a Royal Acara's expression, but you can copy a Royal Aisha's expression. There are also cases where colors are inspired by an older color. For example; they say that Eventide is an updated version of the color Starry. TNT did not confirm this, but the fact is, Eventide is a more realistic version of Starry, which is just dark blue with golden stars on a pet. So, if you simply want to define your pet as something (which I'm pretty sure you're not) you can always choose Starry over Eventide. But it won't be as impressing. Basically, alternative paint brushing isn't an easy thing. I didn't just list out all the examples for you on this page; there are many more combinations that you can access, as long as you're willing to try. This is just a list of combinations that I thought of. 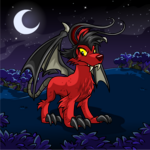 It may be confusing at first, but once you get used to it, you'll find that you can have pretty pets and a good amount of neopoints stashed somewhere in the bank. But remember this; nothing is better than the original. We're talking about gathering scraps and cheap alternatives to make it look like the real thing, which is never perfect. The colors that are already there are always better than what you've gathered, especially if you're searching for the exact color palette. So if you can afford it, go for the original. If you can't, alternative paint brushing is the solution. Well, what are you waiting for? Go and start coloring those pets!